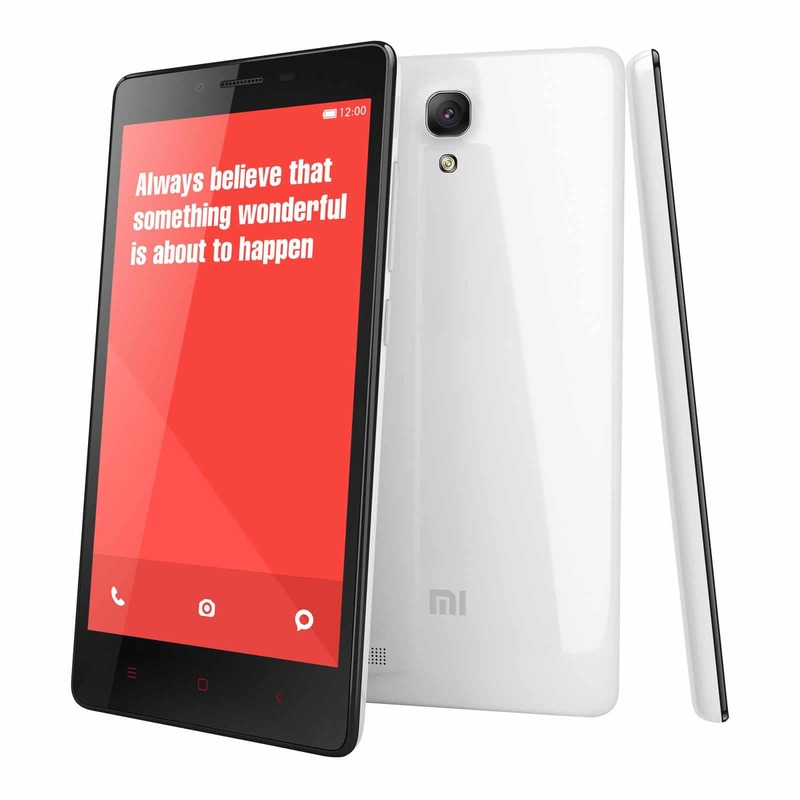 Xiaomi has its next target, and Xiaomi Redmi Note will be launched in India soon. 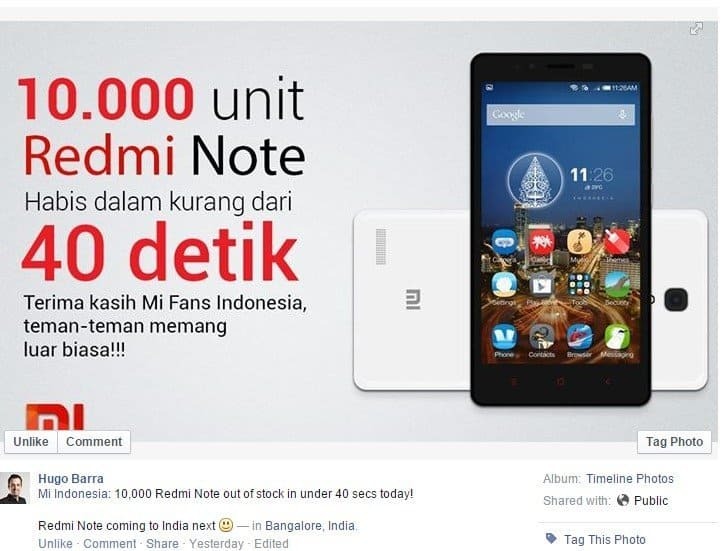 Today, Xiaomi Redmi Note went on sale in Indonesia and right after the sale Xiaomi Vice President Hugo Barra revealed on Facebook that ten thousand Redmi Note went on sale, but it took merely forty seconds for Redmi Note to go out of the stock. Xiaomi VP Hugo Barra revealed this, on his Facebook. Just last month, in October, Xiaomi VP Hugo Barra revealed that Xiaomi Redmi Note will be launched in India by the end of this year and now it is confirm that Xiaomi will target India next to Indonesia to launch the Xiaomi Redmi Note. Hugo Barra mentioned, “Redmi Note coming to India next.” However, he has not revealed the exact date when it will be launched in India.